"Civil Engineering Club opens doors for students"
The following originally appeared as part of ASCE CYM's "A Younger Member's Perspective" on December 12, 2013. "Being an engineer from a family of teachers, it is no surprise that student outreach has become one of my passions. I’m happy to see that ASCE is providing a structured approach to student outreach through the Civil Engineering Club program, providing engineers with the resources they need to tackle the important issue of student outreach in our middle and high schools. 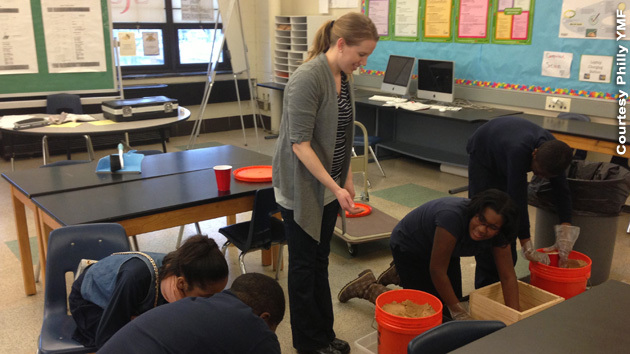 The ASCE Civil Engineering Club™ initiative brings engineers into middle or high school classrooms for an after school program, and works alongside faculty members to introduce students to the various technologies of civil engineering. A typical club meeting involves a short presentation, discussion, and demonstrations and activities. 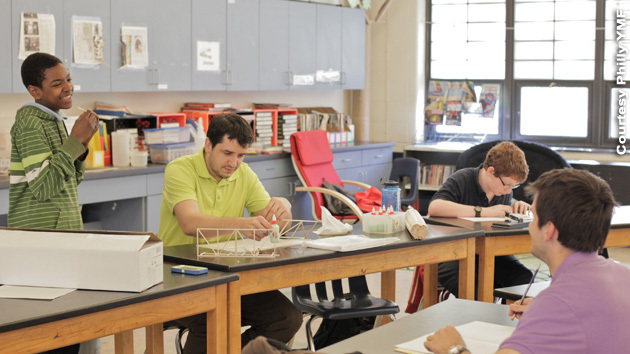 At its most basic, the club introduces students to what encompasses civil engineering so that students can begin to see engineering in the world around them. This tackles one of the biggest problems for our industry: educating the public at large about civil engineering, starting at the student level, teaching our youth, and letting them be the educators for their friends, parents, and the community. I’m pleased to be involved in the Civil Engineering Club in Philadelphia. Started in 2012, it represents the first Civil Engineering Club in Pennsylvania. 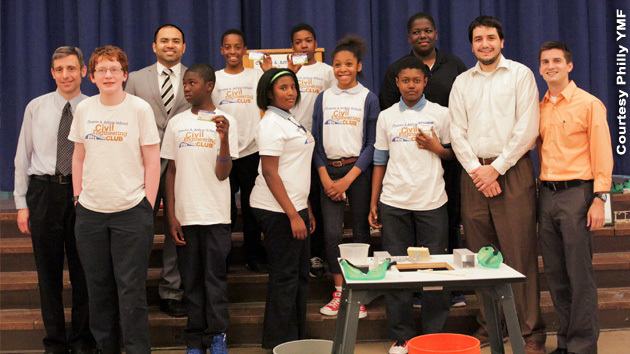 We begin by introducing the students to all types of engineering, before delving into civil engineering specifically. 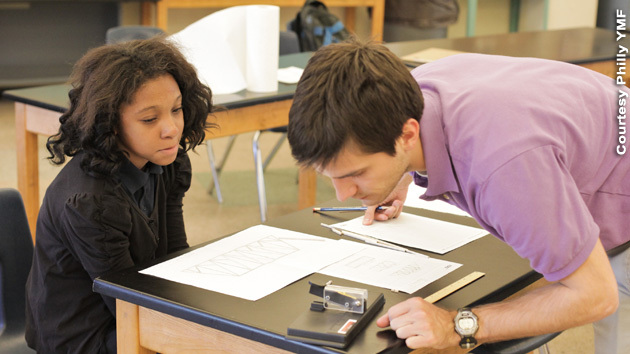 Although some students can be ‘turned-off’ by the mention of math and science, we work to address this issue by focusing club activities around a central principal: making it clear that any student can grow to become an engineer and, in fact, many of them already are “engineers” in their day-to-day life. We ran our Philadelphia club for 12 weeks this past year, with two meetings each week. While the students gave positive feedback for all the activities, they particularly enjoyed creating reinforced sand blocks during the geotech modules, designing water filters during the water resources modules, and constructing balsawood bridges during the structures modules. We turned the bridge design into a competition and tested them during our end of club celebration, inviting parents, volunteers, and faculty to attend to showcase the students’ efforts. We tested each student’s bridge, gave out awards and certificates to the students, and displayed their projects from past club activities. You could see the students’ pride reflected in their smiles. Like many worthwhile things, the CivE Club (as we affectionately refer to it in Philadelphia) took a lot of time and effort to organize. We rely on volunteers from the Philadelphia YMF Board, local engineering companies, universities, and other organizations to run the meetings and lead interesting activities and demonstrations. One of the most rewarding aspects of my career has been the feeling I experience when a student asks a question that shows they not only understood the material being presented at the Club meetings, but also that they were actually interested in the subject. It’s a great feeling to know that our efforts may open doors for these students that one day may lead them to work alongside us! Document the process. The students will love getting to look back at what they’ve accomplished and it will help you recruit volunteers and sponsors later. If you enjoy it, your students will enjoy it, so have fun! Funding for a Civil Engineering Club can, understandably, be a hurdle. ASCE generously provides a stipend to secure materials for the activities described in the ASCE module guides, which are available online. If you want to expand on that program, consider reaching out to local community groups, companies, and other engineering organizations to ask for support. Even if it doesn’t yield funding, you may find a new source for end up with some extra volunteers, donations for snacks for the meetings, or transportation for field trips. Civil Engineering Club proved itself to be as beneficial for the students as I had hoped, with all of the students having great things to say about their Club experience. However, it also proved to be beneficial for myself and all the other volunteers, as it allowed time to improve on an array of communication skills, planning with faculty members and engineers from other companies, while providing a worthwhile outlet to express a passion for our profession. I can honestly say that I’m very much looking forward to our second year of the ASCE Civil Engineering Club this upcoming year! 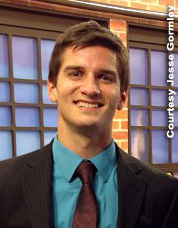 Jesse Gormley is a transportation (structural) associate engineer for Pennoni Associates Inc. and graduate of Drexel University. He currently serves as the Philadelphia YMF Outreach Coordinator."